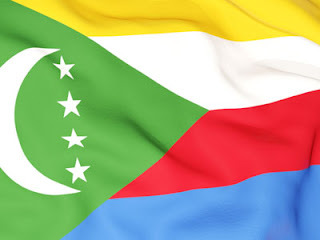 The President of India, Shri Pranab Mukherjee has extended his greetings and felicitations to the Government and people of the Union of Comoros on the eve of their National Day (July 06, 2015). In his message to His Excellency Mr. Ikililou Dhoinine, the President of the Union of Comoros, the President has said, “On behalf of the Government, the people of India and on my own behalf, it gives me immense pleasure to convey to you, to the Government and the people of the Union of Comoros, our greetings and felicitations on the occasion of your National Day. India and Comoros enjoy close and friendly relations. As neighbours in the Indian Ocean, we share the common vision of progress and peace in the region. I am confident that our relations will be further strengthened in the years to come to the mutual benefit of our peoples. The President of India, Shri Pranab Mukherjee has extended his greetings and felicitations to the Government and people of the Republic of Malawi on the eve of their National Day (July 06, 2015). In his message to His Excellency Prof. Arthur Peter Mutharika, the President of the Republic of Malawi, the President has said, “On behalf of the Government, the people of India and on my own behalf, it gives me immense pleasure to convey to you, to the Government and the people of Malawi, my warm greetings and felicitations on the occasion of your National Day. India and Malawi enjoy friendly and cordial relations. I am confident that co-operation between our two countries will continue to grow to the mutual benefit of our peoples. I look forward to Malawi’s active participation in the 3rd India-Africa Forum Summit (IAFS-III) to be held in New Delhi in October this year. Prime Minister, Shri Narendra Modi, has greeted the people of Algeria on Algeria's Independence Day. "My best wishes to the people of Algeria on their Independence Day. We consider Algeria a valued friend with whom we have strong ties. I hope our relations with Algeria become even stronger in the coming years," the Prime Minister said. Prime Minister, Shri Narendra Modi, has greeted the people of Venezuela on Venezuela's Independence Day. "On Venezuela's Independence Day, my greetings & best wishes to the people of Venezuela. Strong ties between India & Venezuela will be advantageous to both our Nations. Looking forward to deeper cooperation with Venezuela," the Prime Minister said. Air Marshal Rajan Chaudhry AVSM VSM President’s Honorary Surgeon, Director General Medical Services (Air), inaugurated the Western Air Command’s SMOs’ Conference 2015 at Subroto Park on 03 July 15. In his address he directed the SMOs to ensure regular and continuous training of all medical personnel and be ready to handle all emergencies, whether in peace or war. He asked SMOs to ensure implementation of the medical services’ digital initiative, the MEDNET, at all Station Medicare Centres (SMCs) so as to achieve our vision of paperless workplace. He informed that the Air Force was in the process of procuring and installing state of the art modern aeromedical equipment such as the Ejection Procedure Simulator (EPS), Explosive Decompression and Rapid Recompression Chamber (EDC RRC) which would take aeromedical evaluation and training to a higher level of sophistication. Air Marshal B Suresh AVSM VM, Senior Air Staff Officer, WAC, the Guest of Honour stated that our primary job is war fighting i.e, to fight and win wars. He urged the medical fraternity to conduct research and find solutions to aeromedical problems as and when they appear. He also exhorted the Air Force doctors to constantly endeavor to return medically unfit pilots to flying as quickly as possible, in order to improve the cockpit to pilot ratio. He also expressed that the doctors had a very important role in educating and influencing the Air Force community, to inculcate healthy lifestyles and dietary habits so as to curb the menace of lifestyle disorders such as obesity, hypertension and diabetes. Lastly, he emphasized the legendary trust and bonhomie that existed between aircrew and the doctors and exhorted everyone to strengthen it further. AVM Pradeep Kharbanda VSM, Principal Medical Officer HQ WAC, an Aviation Medicine specialist himself, moderated the brainstorming session, where issues faced by operational bases were discussed and resolved. Dr Gayatri Vyas Mahindroo Director National Accreditation Board for Hospitals and Health Care Providers (NABH), delivered the keynote address on “Accreditation of SMCs”. DGMS (Air) added that the greatest advantage in following accreditation standards was Patient Safety, which is also a Key Result Area of the Air Force medical services. He asked SMOs to observe “2015 as the Year of Safe Outpatient” in all earnestness and ensure delivery of highest quality healthcare in a safe environment, to the dependent population. DGMS (Air) applauded the outstanding relief work undertaken by WAC and the Rapid Action Medical Team (RAMT) in Nepal, as a part of Op Maitri. As part of two day conference, in field visit to AF Station Hindan, the flight surgeons witnessed C-130 and C-17, the modern heavy air lift giants of the Indian Air Force, in their ambulance role. They also had a hands-on exposure to the high-tech patient transfer unit (PTU) which the Air Force utilizes for shifting critically ill patients from one ICU to another. For most participants this firsthand experience was enriching and a unique experience.